Shaken and determined, Tana enters a race against the clock to save the three of them the only way she knows how: by going straight to the wicked, opulent heart of Coldtown itself. The Coldest Girl in Coldtown is a wholly original story of rage and revenge, of guilt and horror, and of love and loathing from bestselling and acclaimed author Holly Black. 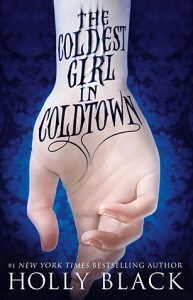 I have been seeing quite a few mixed reviews out there in the blogosphere for Coldest Girl in Coldtown, so I wasn't too excited anymore to read it and I think this in and of itself is what allowed me to enjoy it as much as I did. My biggest issue, and what most reader might have a problem with as well, was the writing style. It's not that it was badly written, it was just that the way Black decided to write made it hard for me to really get immersed in the story. It's not only written in third person, but also there is just something a bit off about the whole thing. Like you are detached from everything that's happening, and yet at the same time I understand for what kind of tone Black was going for to tell her story and in that case she succeeded 100%. It just made it hard to feel connected to the events that were happening. Next up we have Tana. I'm still not quite sure I like her or not. I'm not indifferent towards her, I just like some aspects of her personality and others not so much, mostly because I just can't relate to that side of her. Tana is basically an adrenaline junkie even if it isn't said that bluntly. She likes danger, she likes feeling that rush and keeping some kind of sense of control. This fixation of hers is what leads her to rescue her jerk of an ex-boyfriend (which can I just say, that was one of the most dysfunctional relationships I have read about in YA) and the vampire that looked like he required some saving as well. Once that pivotal decision has been made, and the only that is somewhat questionable, the rest of the plotline flows quite nicely. We get some nice world-building and find out the story behind the Coldtowns and how it all came about. We are told how vampires in this world behave and what they go through during the transformation. I had been afraid that Tana was going to turn out to be just another special snowflake character but it isn't the case here and that's what I liked about her. She is just a girl trying to do the right thing after having had a very bad experience with what happens to people going Cold. I'm just going to say I really liked Tana after she got to Coldtown and the twists and turns that occur were excellent and I wasn't even expecting the major one. I only figured it out like a page behind the big reveal. 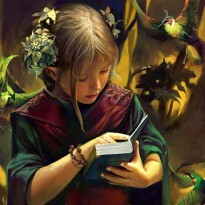 Books that can keep me guessing that long or surprise me that well get a lot of love from me. If the writing style had been somewhat different this could easily have been a 5 star read. I haven't mentioned any of the side characters nor the major vamp character and that's mostly because I want you guys to figure them out yourselves I'm just going to say that they were all well done characters even if I didn't like some of them. The Coldest Girl in Coldtown is a book worth reading, just the writing style a try, because the story being told is an entertaining one.